I offer a very specialized form of Liposuction suction called tumescent Liposuction totally by local anesthesia. This is a minimally invasive procedure with minimal downtime so you recover very fast and are back to work within a few days. Small amounts of numbing solution are carefully placed into the pockets of fat and then the fat pockets are very gently removed with very small cannulas. 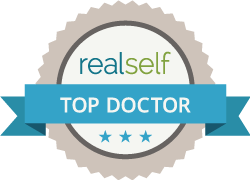 Through those very tiny incisions (not much bigger than a pencil tip) I also use VASER wands and smart lipo probes to give great skin tightening results from the inside. And the best thing is that after your procedure which takes about 90 minutes is you walk right out of the office feeling great. No general anesthesia hangover!